As the first product launched in 2002, this stunning lamp comes in 69 pieces that anyone can assemble without the use of any tools or glue. 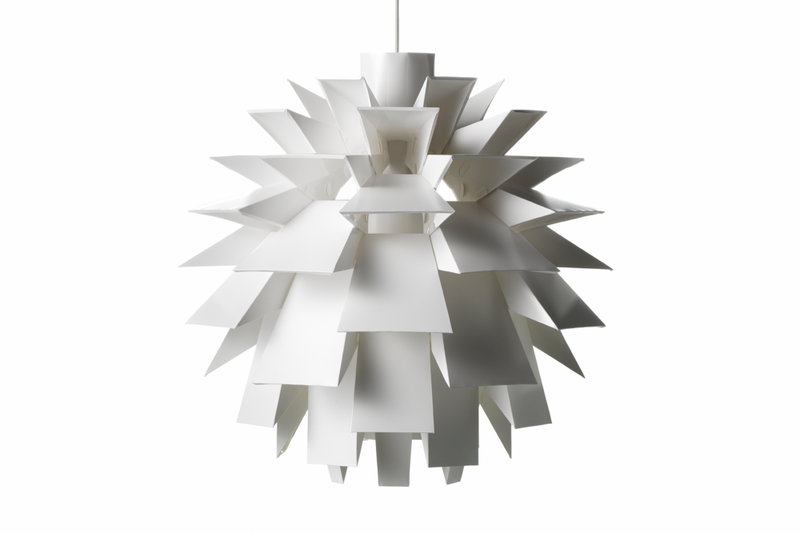 Norm 69 is a self-assembly lamp shade (manual included). Socket and cord are sold separately. After a couple of minutes you understand the concept of how to fold the different elements. Once this is done, just follow the detailed instructions and after a little while you are the proud owner of your very own handmade Norm 69 lamp - made by you. Norm 69 can be cleaned with a duster or by using the shower head in the shower. Max 60 Watt bulbs are recommended. The lamp shade is made of a special, non flammable plastic material. Awards: Formlandprisen 2002, Denmark & Imm Cologne - Best Item 2003, Germany.